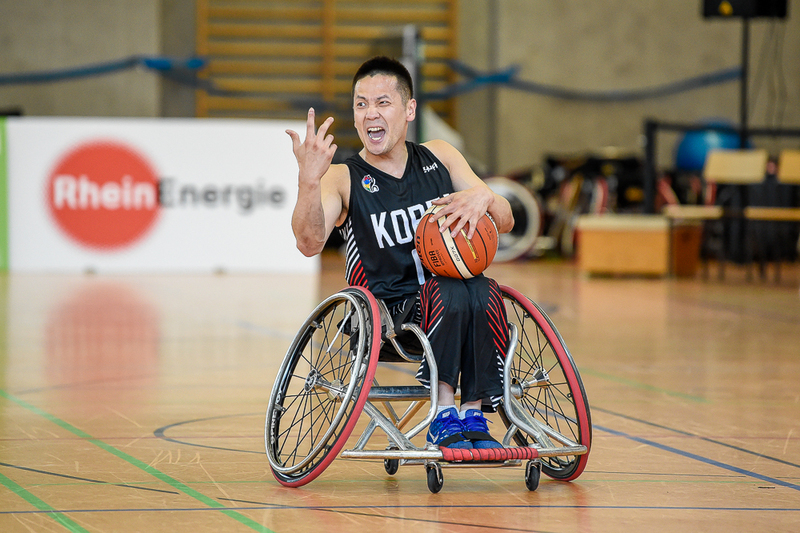 In the first men’s game of day three at the Nations Cup Cologne it was an Asian clash as South Korea took on Japan. Both teams were evenly matched during opening quarter making 50% of their field goals. The only difference between the two was South Korea’s discipline as the sent Japan to the free throw line nine times of which they converted five giving Japan a 22-17 advantage going into the first break. South Korea kept in touch with Japan during the second quarter, with all their points coming from Seung Hyun Cho and Dong Hyeon Gim, but they could not reduce the margin between the teams and Japan led by 9 points at halftime 38-29. Following the break, South Korea rallied and brought the game back within three points at the start of the final quarter, but again South Korea racked up the foul count, finding themselves in team foul trouble with another four minutes remaining on the clock, however, this time the Japanese could not capitalise. Instead, thanks to a huge effort from South Korea’s Dong Hyeon Gim and Dong-Suk Oh, combining to hit 18 of South Korea’s 24 points in the quarter, they brought the game back to a one-point game. In an exciting final minute the one-point lead exchanged hands three times and with one second on the clock, it was South Korea’s Kim Tae Ok who netted home the winning basket to take the game, 68-69. Dong Hyeon Gim, finished the game with a double-double of 38 points and 16 rebound, whilst for Japan Reo Fujimoto top scored with 21 points.